What Laptop magazine's latest group test of the top 14 netbooks on the market shows that MSI's Wind and Samsung's NC10 are still the pick of the mini PC pack. "When netbooks first arrived on the scene, no one – manufacturers or consumers alike – expected them to take the world by storm," reads the What Laptop netbook round-up. "We'd seen tiny laptops before, so were quite surprised at the whirlwind success and the online flurry caused by the first Asus Eee PC. Since then, we've seen machines from nearly every major manufacturer – several in some cases – which is great for the consumer." But which ones are worth your hard-earned spondoolicks? Thankfully, What Laptop is there to make your online life on the go that much easier, having gathered together fourteen of the best netbooks on the shelf right now and pitted them against one another. 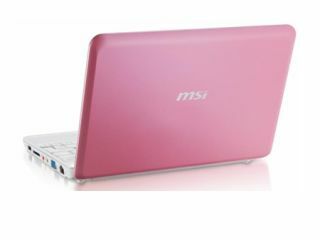 They favoured the Samsung NC10 and the MSI Wind U1000 (the later model with the much-improved battery life) but conceded that there was certainly something for everybody with most of the other netbooks they tested out. To see the full results, head over to What Laptop's website.